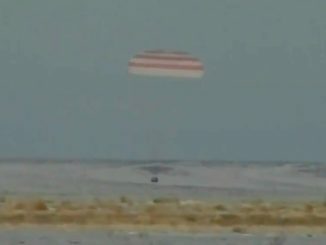 A Russian Soyuz spacecraft carrying three space station crew members hurtled back to Earth Thursday, completing a fiery plunge back through the atmosphere before settling to a frigid touchdown on the snowy steppe of Kazakhstan to close out a 139-day mission. 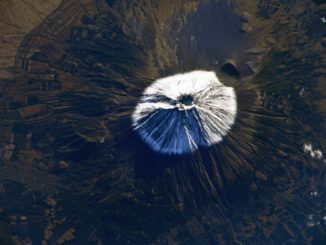 Recent photos from the International Space Station’s Expedition 53 crew show wildfires burning in Southern California, expansive views of the Himalayas, cities by night and day, and colorful vistas of sites around the world. 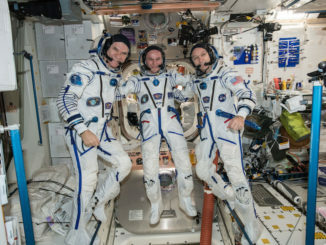 Outgoing space station commander Randy Bresnik, joined by Russian cosmonaut Sergey Ryazanskiy and European Space Agency flight engineer Paolo Nespoli, returned to Earth early Thursday after nearly five months in orbit. 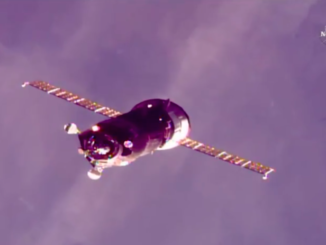 Their Soyuz MS-05 capsule undocked from the International Space Station at 12:14 a.m. EST (0514 GMT), and landed on the steppe of Kazakhstan at 3:37 a.m. EST (0837 GMT). 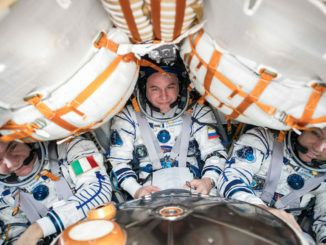 In a rapid-fire crew rotation, a Russian cosmonaut, a NASA astronaut and an Italian flier plan to close out a 139-day mission aboard the International Space Station with a fiery plunge back to the frigid steppe of Kazakhstan aboard their Soyuz MS-05 spacecraft early Thursday. 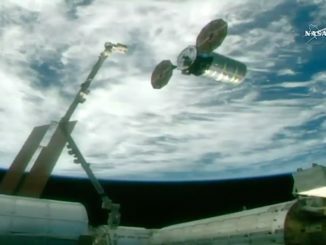 An Orbital ATK Cygnus cargo craft departed the International Space Station on Wednesday, heading for a higher orbit to deploy 14 CubeSats and an eventual de-orbit burn to dispose of more than 6,200 pounds of trash and other unneeded equipment packed by the station’s crew. 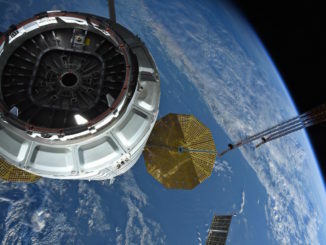 A commercial module mounted outside the International Space Station last year will remain attached to the orbiting research complex for at least three more years, carrying out additional tests for future space habitats and serving as a storage closet for the lab’s crew. 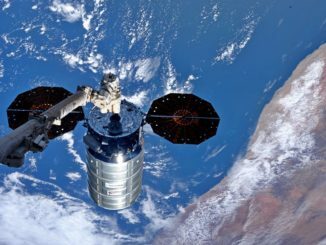 After a 22-day stay at the International Space Station, an Orbital ATK Cygnus supply ship is set for departure Wednesday en route to a higher orbit for release of 14 CubeSats for commercial weather monitoring and technology demonstrations. The robotic Cygnus spacecraft is scheduled for release from the station’s robotic arm at 8:10 a.m. EST (1310 GMT) Wednesday. 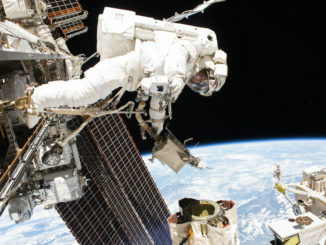 Staging NASA’s third spacewalk in 15 days, two astronauts floated outside the International Space Station Friday and installed a new high definition camera, replaced a degraded camera on a recently attached robot arm grapple fixture, finished lubricating the mechanism and carried out a variety of other “get-ahead” tasks.